Finally another upgrade to our van. Converting it from a single piston caliper to dual pistons including slotted rotors and braided steel brake hoses. 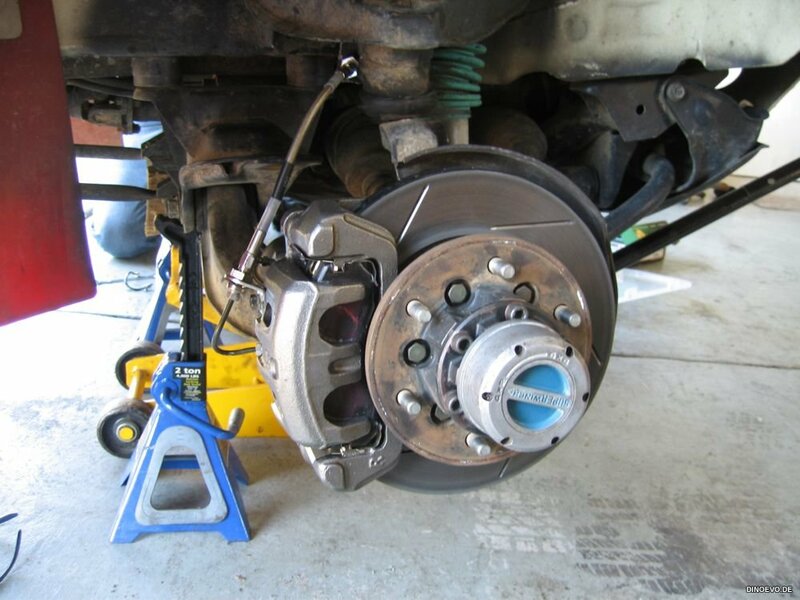 Main reason for that: We wanted more stopping power. Specially with the bigger wheels you had to press hard on the brake till the loaded van actually came to a stop. 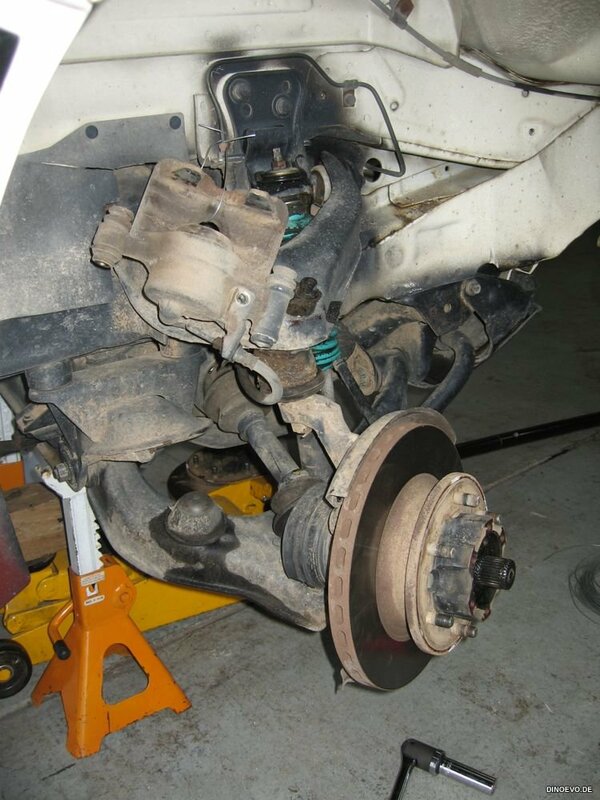 I knew from talking to friends it was possible to upgrade the l300 brakes with the brakes of a l400 respectively Montero. 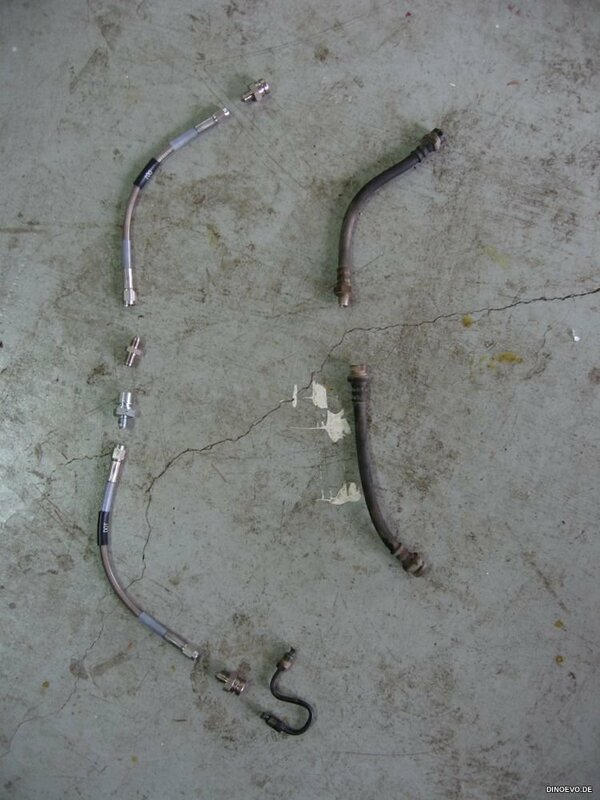 So off I went to source the parts and ended up with Power Slot rotors, Hawk LTS brake pads and Russell brake lines. 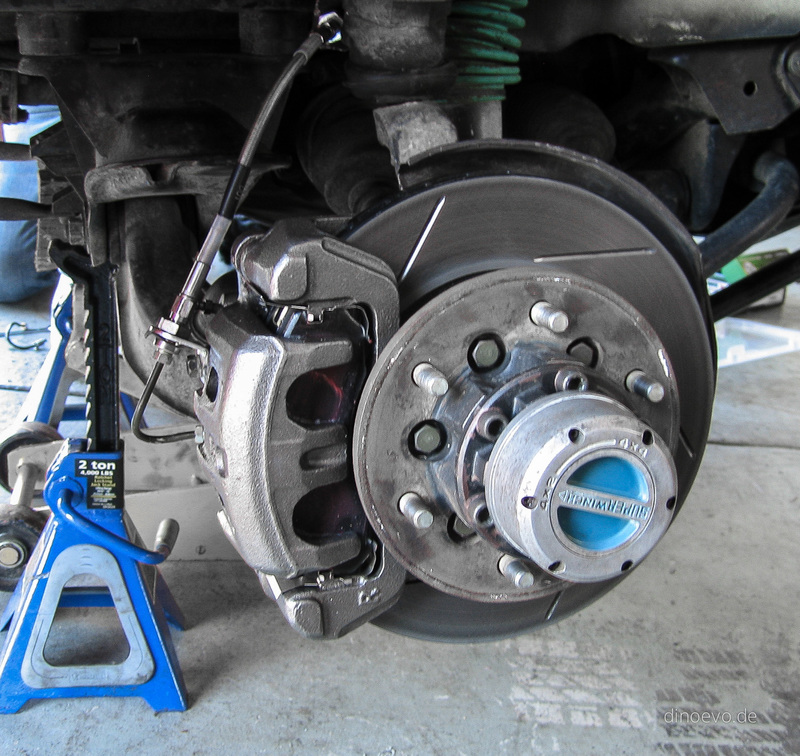 The calipers were only available as oem parts. Due some stocking issues with the Russell fittings it actually took a few months to get all the parts together. Anyway we worked two full days to make this modification right, but in the end it was totally worth it. The biggest surprise (at least for me) was as we changed the long rubber hose in the back to a braided steel hose. The pressure point at the pedal felt so much strong and not spongy anymore. Doesn’t matter how loaded the van is, I feel now confident to stop it without any delays. There were a few challenges during this modification. 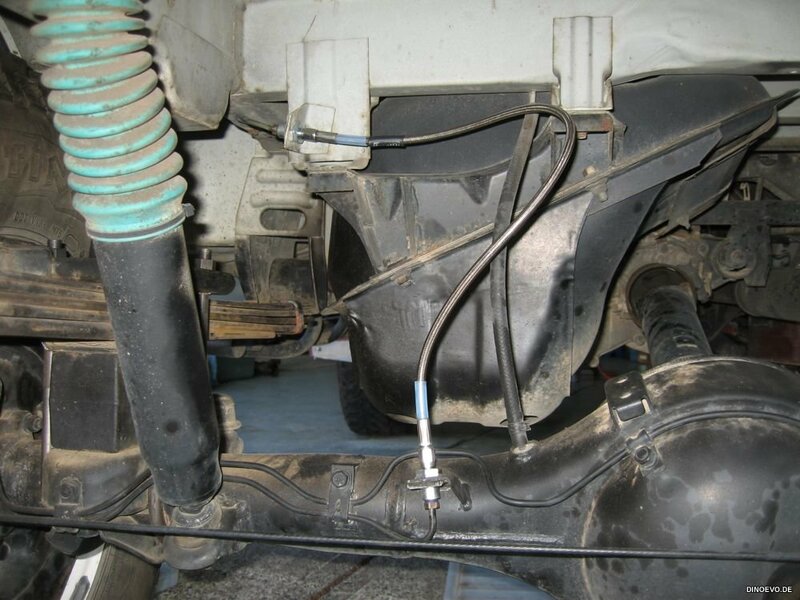 First it seems like there is no 7″ DOT braided steel brake hose available which would be necessary for the front top portion to make it a nice fit. We used 9″ instead. Not ideal, but works. Second, you need to make new metal brake lines with tiny curves on the calipers. So make sure you have the right tools including tube cutter and flaring tool. 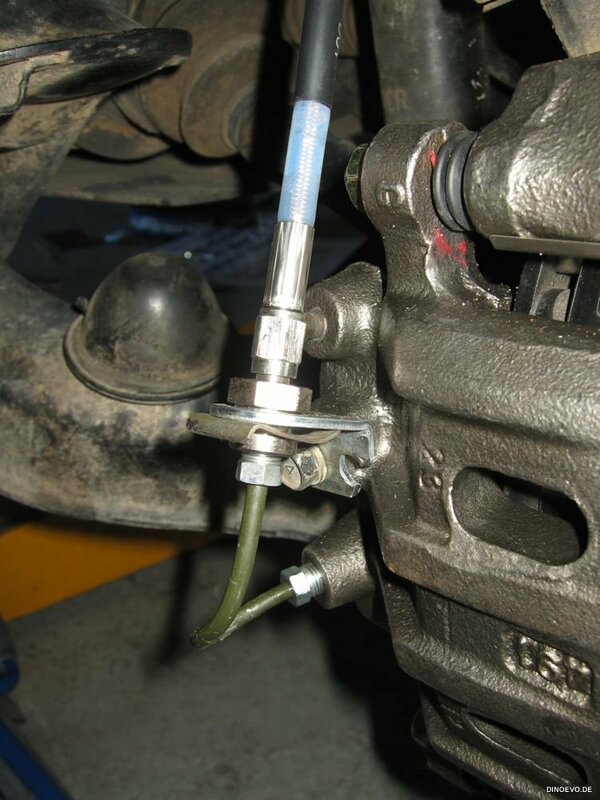 Third, it took us a while to figure out the right bracket to attach the hose to the caliper. 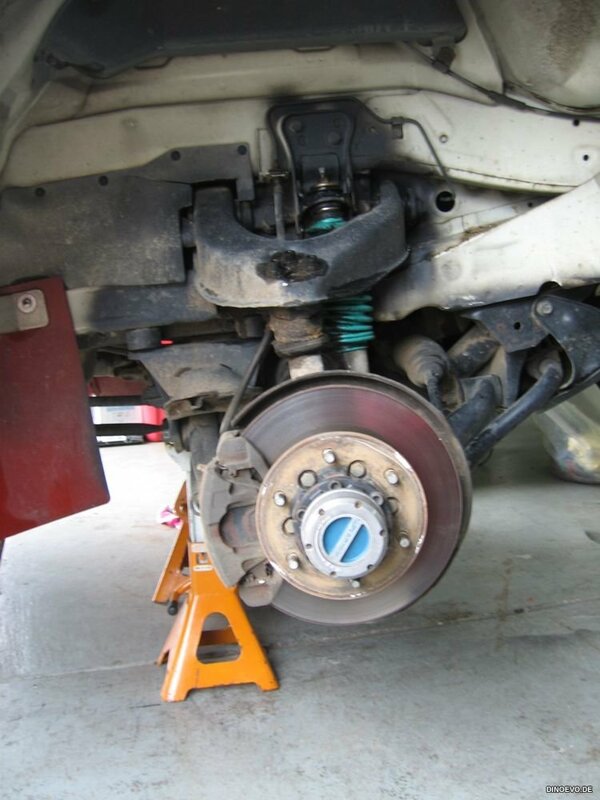 Main challenge is you don’t want to hit the brake line neither with your bump stop, nor with your wheel. Fourth, you need to trim the head shield to make the dual piston caliper fit. Last but not least a huge thanks to “lazygreenfox” and “Golf Cart” for their help on this job. It is great to have such a good Delica community in Vancouver where everybody can learn from each other! 3 Responses to "Brake Upgrade"
Hi. 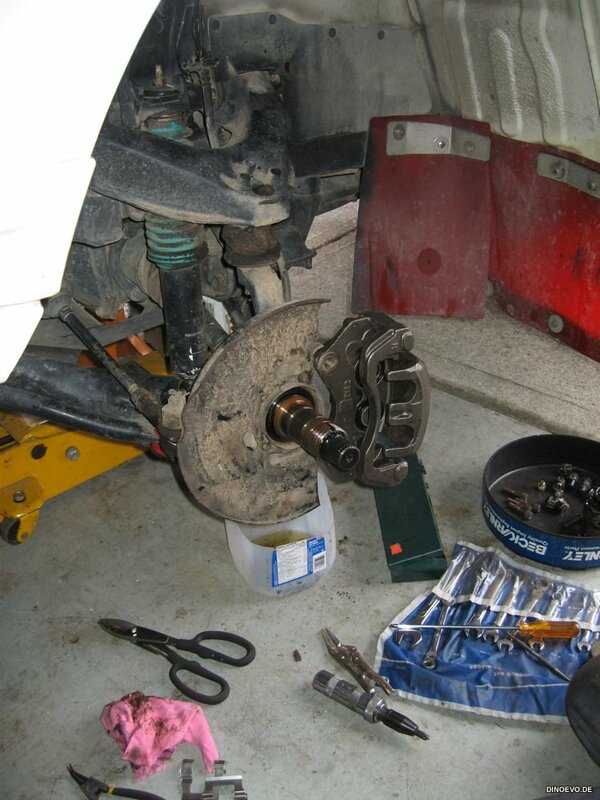 I wanted to repack my own front wheel bearings but I could not take-off the Auto Hub. I assume that you used to have an Auto Hub installed and replaced them with our new hub switches. 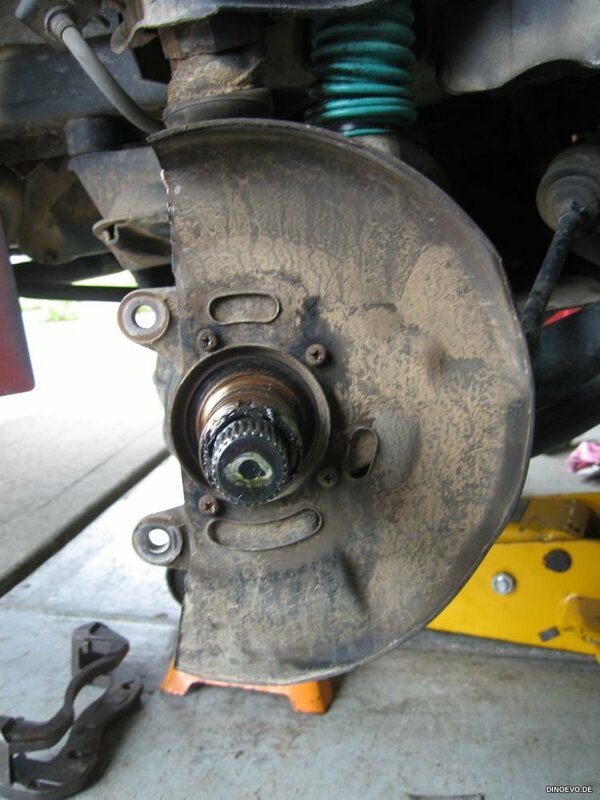 Can you please tell me how to remove the Auto Hub and brake rotors. Thanks in advance. Happy New Year! 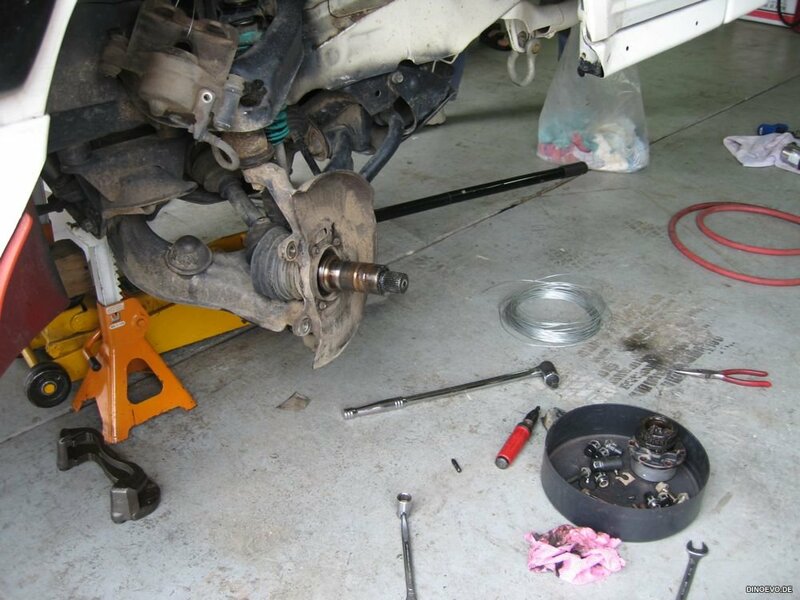 It’s pretty straight forward to remove the auto hubs. Just unscrew the cab (it probably very tight so use a Vise-Grip), loosen all bolts and then remove a little C-clip from the shaft. Now you can take the hub off.